For 914 days, ‘The Empress of Tomorrow’ dominated both the NXT and main roster landscape. However, that all came crashing down when Charlotte Flair made Asuka tap to the figure eight at the grandest stage of them all, WrestleMania 34. It shocked the world when the former Smackdown Women’s champion ended Asuka's undefeated streak but now the question is, can Charlotte Flair defeat Asuka once again? During the Smackdown broadcast, it was announced that Flair would be taking on Asuka in a WrestleMania 34 rematch on Smackdown Live next Tuesday. Asuka’s career simply hasn’t been the same since that stunning upset in New Orleans. The former’s NXT Women’s champion has had more misses then hits since that moment, most notably, failing to capture the Smackdown Women’s title from Carmella back at Extreme Rules and Money In The Bank. 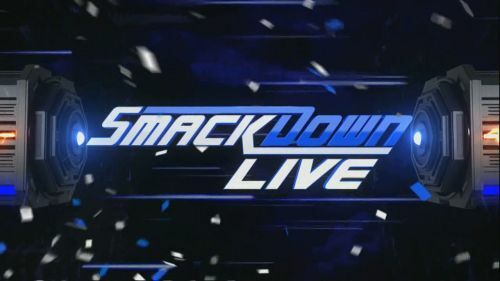 Smackdown Live started off with a contract signing for the first-ever women’s TLC match between Becky Lynch, Charlotte Flair, and Asuka. Of course, the three competitors talked trash to one another before signing the contract. Asuka made the challenge to Flair for a rematch before Mandy Rose & Sony Deville interrupted. Asuka and Flair vs. Mandy Rose & Sonya Deville was made official by the Smackdown GM and all seemed ok between the TLC opponents until the final moments of the match when ‘The Queen’ accidentally nailed Asuka with a big boot to the face. The former NXT Women’s champion responded with a shining wizard to Flair, which ultimately cost them the tag bout against Deville and Moore. Next week's go home show will be huge as ‘The Empress of Tomorrow’ needs to overcome the demons that has arguably stalled her career. We’ll find out how it all goes down on Smackdown Live Tuesday.